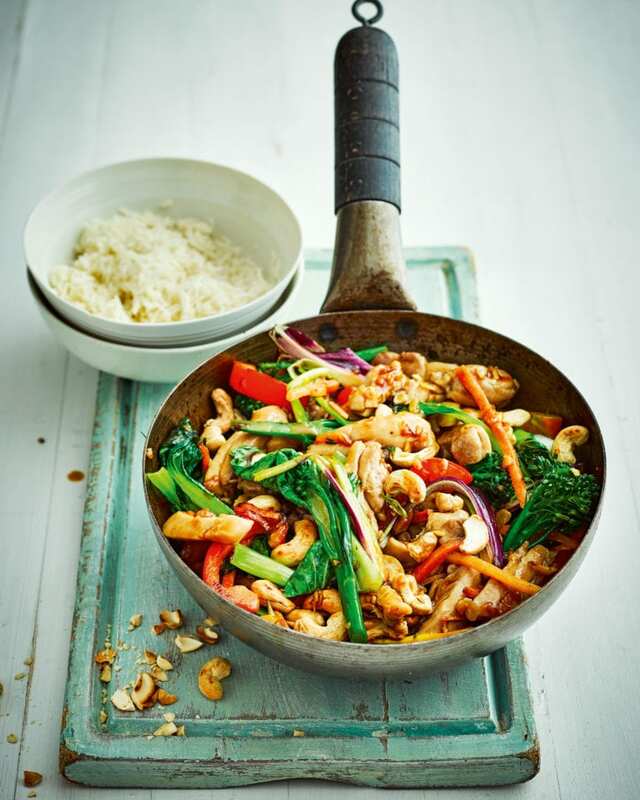 This tasty chicken stir-fry with ginger and oyster sauce is easy to make and can be on the table in just 15 minutes – a great quick midweek fix. Heat a splash of oil in a large wok or large, deep frying pan. Stir-fry the chicken for 3-4 minutes or until cooked through. Meanwhile, in a small bowl, whisk together the ginger, garlic, soy and oyster sauces, the lemon juice and sesame oil. Add the stir-fry packs to the wok and stir-fry over a medium-high heat for a few minutes until wilted. Add the sauce and a splash of water and toss to warm through. Add the cashews, then serve with the rice. If you can’t find rainbow stir-fry mix, substitute with your own mix of fresh vegetables.